We have been following the graphene industry as analysts for the past seven years. The results of our ongoing research can be seen here: www.IDTechEx.com/graphene. In this time, we have seen the industry grow in maturity. Companies started to converge on specific applications, getting away from the early lack of focus and opportunity overdose. Companies installed notable capacity so that they could talk real business beyond just performance demonstration. Main players started to cut prices and reduce production costs to give graphene a more realistic price position. The end-users also learnt more about graphene, beginning to appreciate what it could or could not do, and beginning to identify where each graphene type made sense. The companies slowly launched qualification processes. Today, some significant qualification processes have converted or are converting. As such, the market is turning a page and real applications are finally arriving. As is now customary, our analysts (IDTechEx) will kick off the conference by giving you a detailed overview of the graphene market. Here, you will learn about the latest progress, innovation, and market outlook/forecasts. You will hear from BASF, the chemical giant, as an end user. BASF will offer a candid perspective on the benefits and challenges of graphene use in composites. This is a key discussion as it is often difficult to make judgement in the absence of complete and/or comparative datasets. You will then hear from the Sixth Element, a successful Chinese graphene producer. They first announced their results on ZnO/graphene anti-corrosion paints at our US conference in 2015. Since then anti-corrosion coating has emerged as a highly promising graphene application. Sixth Element also develops thermal heat spreaders. This product is utilized inside a leading Chinese mobile phone, thus marking a major success for graphene. NanoXplore will also present. This is a company with ambitious and aggressive plans to dramatically increase production scale, potentially up to 10,000 tpa, and to slash production costs, potentially down to $10/Kg. This would redefine market positioning and prospects of some graphene types. You will also learn about the volume markets that they have in mind for their expanded capacity. First Graphene Limited is another interesting firm who will present. They already report a 90-100 tpa capacity. They target interesting applications such as wear lines for cement and mining equipment, cement additives, sports plastic parts additives, etc. You will learn about their technology, plans and progress. Avanzare will also present. They are one of the oldest and largest European graphene makers. After 3-years of notable growth they are currently utilising nearly all their not insignificant capacity, predominantly for usage in polymer composite, and are thus installing additional significant scale to serve their growing demand. Abalonyx as well as JMC (with Cornell University) will also present their progress and plans for GO production. GO is itself a promising material for many applications including energy storage. Its discussion is often neglected as all eyes are often fixated on graphene. Ocsial will also present. They have a unique proposition to the market. They have developed a scalable process for producing SWCNT or wrapped single-layer graphene. They are seeking to redefine the cost and production scale of this material. Indeed, their scale and costs are orders of magnitude ahead of their direct competitors. They are also ahead in terms of commercial and dispersion knowhow. You will hear about their latest progress and plans including their planned 250 tpa capacity in Luxemburg. The Graphene Council will also outline their motivation and efforts on the so-called verified graphene producer programme which seeks to bring more transparency and trust into the graphene market which has in the past been marred by some efforts to sell other forms of carbon under a graphene label. Innovation on graphene continues apace. At our show you will hear from ITT/BiDimensional. They have recently raised notable funds and are seeking to scale and commercialize their unique water jet milling liquid phase exfoliation process. This process promises to increase the production yield of liquid phase whilst also cutting down production time. Sixonia GmbH will also speak. This spin-out company has developed an electrochemical exfoliation process that gives them good control of graphene properties including number of layers, lateral size and in-situ surface functionalization. Graphmatech will discuss their progress on their graphene-based thermal interface materials (TIMs). TIMs are used in connecting electronic devices to heat sinks or heat spreaders in all manners of applications including datacentres, consumer electronic devices, base stations, automotive electronics, etc. Graphene is highly promising here because it is an excellent conductor of heat and is light weight. Skeleton Technologies will present their work on commercial production of supercapacitors. They report breakthrough ultracapacitor performance which they attribute to their nanoporous electrode based on a curved graphene technology. ZapGo will also outline their work on hybrid capacitors for fast charging. The electrode here includes nanocarbons such as graphene. Mitsubishi Electric will report their results on using graphene as an infrared sensing material. This is a promising proposition for film-type CVD graphene. Indeed, the results show that graphene photodetectors can outperform other technology options in the MWIR or LWIR range. As such this is a promising direction of development because it is in an area in which the incumbent technology struggles. Samsung will outline its view of graphene and 2D materials as semiconductors for electronic devices. Graphene's limited bandgap had dimmed its prospects as an electronic material. However, the emerging world of 2D materials has rekindled interest. This is because 2D materials offer many possibilities since they allow the formation of two-dimensional conductors, semiconductors, and insulators. CNM Technologies will discuss their latest programme on their unique carbon nanomembranes. This is a 2D nanocarbon but is not strictly graphene. It is essentially a molecularly thin plastic. It has excellent and unique properties as a filter for water or other chemical gases/liquids. Atomic Mechanics will showcase their development in the use of thin film CVD grown graphene as versatile force and pressure sensors. This is for a range of sensor and user interface applications with both consumer and industrial use cases in mind. BioMed X GmbH reports on the potential and progress of graphene transistors as point-of-care bio-sensing devices. This area also holds promise as graphene, given its 2D nature with abundant surface area, is a highly sensitive sensing platform. Graphene & 2D Materials is the most commercially-focused conference and exhibition on the topic. Here companies unveil their latest technologies and launch products. It is where technologists announce their latest commercially-relevant results, and where suppliers and end users network. 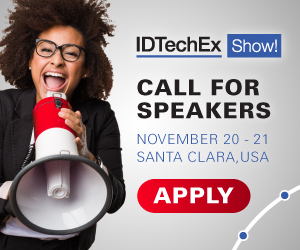 This event is part of the IDTechEx Show! which brings together more than 2500 business attendees and 200 exhibitors to focus on emerging technologies such as graphene and 2D materials, advanced energy storage technologies, 3D printing, printed and flexible electronics, wearables and e-textiles, IoT and electric vehicles. Our attendees will have access to all these parallel conferences and the joint exhibition floor. To find out more about IDTechEx research on graphene, contact research@IDTechEx.com.